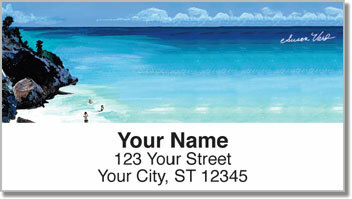 Run into the waves of the waiting ocean with these gorgeous Beach Scene Address Labels today! 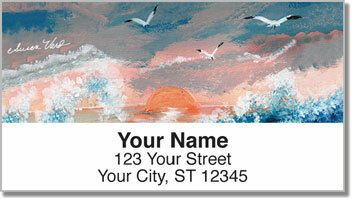 From the puffy clouds to the dynamic and ever-changing ocean, it’s easy to spot the talent of New York-based artist Susan Varo. 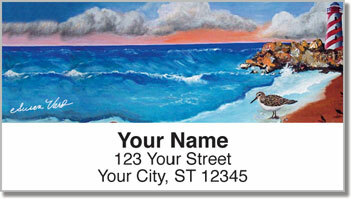 You’ll delight every time you look at these beautiful designs and add them to your envelopes or packages. 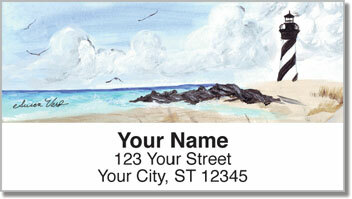 Put a personal touch on your packages by simply peeling and placing these envelopes on the page. You’ll save yourself tons of tedious work and make your letters absolutely gorgeous. Order now and get shipping absolutely free.